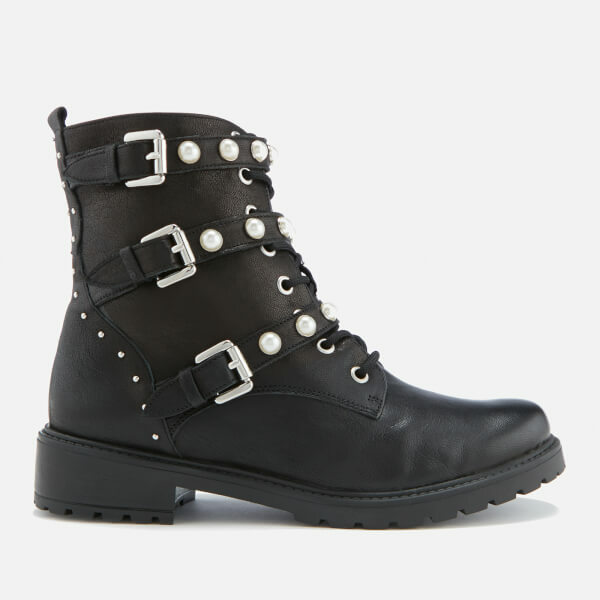 Black leather biker boots from Dune. 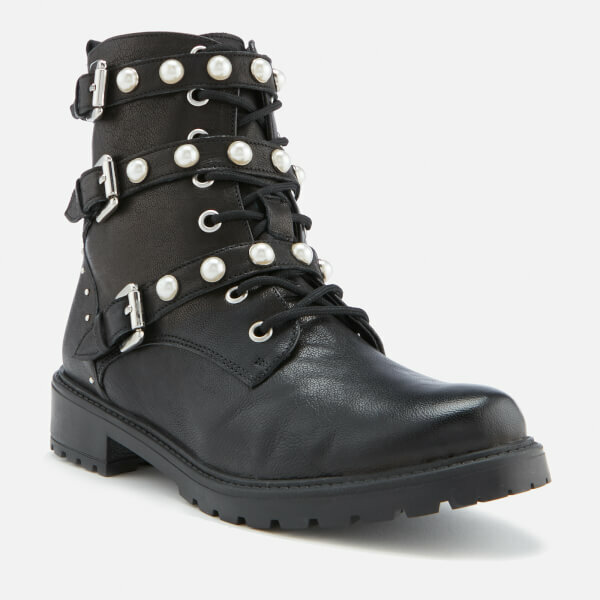 Showcasing a premium leather upper, the 'Risky' lace-up boots are detailed with silver-toned metal eyelets, a side zip closure and a heel pull tab for entry assistance. 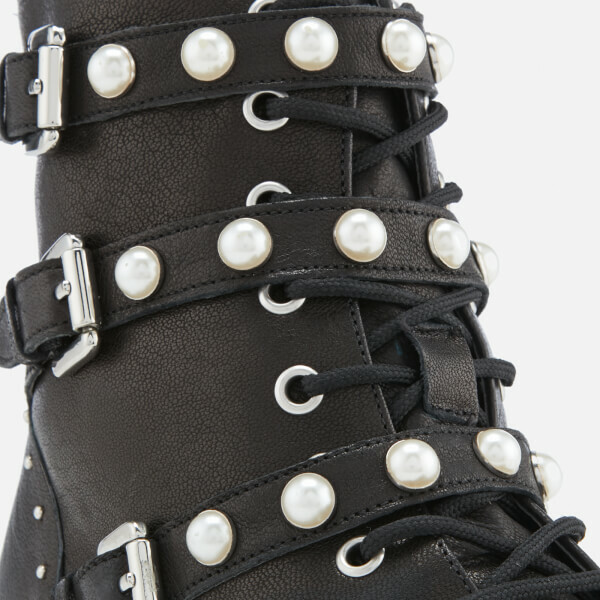 Accentuated with rear stud detail and three pin buckle straps with all-over pearl embellishments. 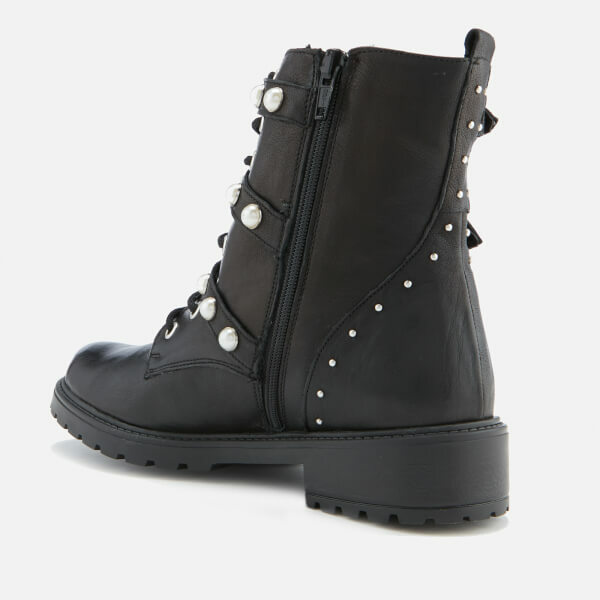 Set on a small heel and durable lug outsole for maximum grip.